We are reaching the end of the year, and many of our children are moving to the next level. They will not be in the 18-24 months classroom anymore. They are growing and developing, and as they enter their next level, they will continue to develop physically, emotionally, and mentally. Today, the children, teachers, parents, relatives, and friends had a wonderful time on "Field Day!" We sang and read a variety of books. The children have been enjoying listening to The Napping House, George, Barks and Pete the Cat the Wheels on the Bus. Ziploc painting is a color, sensory, imagination, and fine motor skills all in one fun activity. Fine motor skills are those that require the ability to use and coordinate small muscle groups. Giving children opportunities to play with different types of textures and objects helps them to build new ways of talking about the world and building language. This type of sensory play is also calming for children. It helps regulate their internal discomfort, whether that discomfort is restlessness or some other type of agitation. Model Magic is a unique lightweight material. It is a soft, easy to use, and extremely pliable modeling compound that lets you create keepable art, and mold anything from simple shapes to intricate dioramas. It can be reused or be air dried resulting in a smooth and resilient finish. Model magic promotes fine motor skills, imagination, and creativity. Sensory exploration is a natural way for young toddlers to understand their environments. Children explore and discover new things every day through their senses. As children engage with different materials, they gain knowledge to how things work. Janet made "Slime" using glue, shaving cream, and tempera paint. The consistency was not precisely what Janet was anticipating. Nevertheless, she will try again during this week. Rheya drew on the erasable contact paper, a circle (face), two smaller circles (eyes), two loops on the outside of the big circle (ears) and a line (nose). She articulated each feature as she drew. We sang Five Little Ducks with props. Our usual morning routine before we enter the gym is to line up against the wall and sing one song. On this day, three children took the initiative to lead the class and they sang the ABC song. The children are becoming more independent, expressive and adding more words to their sentences. The children enjoyed a nice neighborhood stroll to Washington Market Park. . Creating a rainbow using paper plates and tissue paper! Using tin foil and paint, the children delve into exploring using their hands and fingers. In process art there is no step-by-step instruction, there is no right or wrong way to explore and create. The art is focused on the experience, and on the exploration. The art is unique and original. For some children, the experience is relaxing or calming as they feel the paint between their fingers. Recycled bathroom tissue rolls were used to create fireworks with paint. The cardboard rolls were cut into different lengths, creating cardboard roll fans. The children looked curious and excited as they pressed, creating different patterns. Fingerpaint is a kind of paint intended to be applied with the fingers. It allows children to use their imagination and create. It encourages cognitive development and strengthens the hand and fingers which helps with fine motor skills. Children use different techniques as they spread the color in different directions. Harlow uses a back and forth movement, Madeline, makes circling movements with her hands, creating circles, Rheya uses her fingertips to spread the paint, and Ellis maintains moving his hands back and forth, covering the paper on each side without mixing the two colors. Ellis and Rheya squeezed some glue on a square piece of corrugated cardboard. They applied the glue with a paintbrush and selected different items for their collage. They seemed to enjoy exploring the materials, as they focused on squeezing and spreading the glue. They each had different ideas on how to arrange their materials. This activity promotes fine motor and cognitive development, creativity, and imagination. A collage is an artwork made up of different papers or objects glued together. The two-step process art, applying glue and pasting the tissue paper seemed to intrigue the children. Exploring and experimenting with the arrangement of shapes on paper, helps young children develop thinking skills. I wonder if they are making pictures or just enjoying combining shapes and colors. A paper roll and different size of pom-poms are excellent materials to explore the hypothesis, “Will this pom- pom fit and drop?” Mario inserted the pom-poms and discovered one did not drop. He looked puzzled! He pushed and pushed with his finger, but it was stuck. It was too big! The teacher helped him remove the stuck pom-pom, and he eagerly continued inserting and releasing them into the opening. Mario appeared amazed and smiled as he noticed they went through the opening. I wonder if he realized that the opening of the paper roll and the size of the pom-pom makes a difference for a pom-pom to drop. As he continued playing, he selected the small pom-poms, not the big ones. Revisiting the color changing milk experiment! The children that have not experience observing the experiment had the opportunity to watch, explore and discover the science of milk and dishwashing detergent. We did a science experiment, using whole milk, dishwashing detergent, and food coloring. The next part of the experiment, the teacher, dipped the tip of a cotton swab into the dishwashing detergent and gave one to each child. With guidance, they gently touched the surface of the milk with the cotton swab. The colors burst and move swiftly in different directions. We released the butterflies into the world. The children carefully watched them as they flew. Creating butterflies using coffee filters. Stacking fosters different sizes to work on comparisons. Placing the smallest and the largest pieces next to each other is teaching big versus little. They also start working on the concept of sequencing, what comes next. Stacking/nesting also works on depth perception, hand-eye and coordination. As the children put each piece on top of the other, they have to gauge where to place each piece visually. They set the smallest piece on top of the biggest one first, as these two are the most visually different. Stacking enables children an opportunity to work on colors/matching, top/bottom, counting, etc. We sang a variety of songs and one of their favorite books for the week was, Pete the Cat, The Wheels on the Bus. They have been painting different art pieces for the art show and the classroom. They have been having a lot of fun exploring and discovering new things with paint, texture, designs, and patterns. Using green, yellow, and orange hues, tape, and a rectangle shape canvas will make an art piece intriguing. The children appeared interested and amazed, as they observed the abstract design that was created by using different tools and materials. Painting with balls creates a different kind of texture on paper, as the children roll the ball back and forth. They are learning about color, texture, and creating art. The children used one of the tools that are used for clay or play dough exploration, to create unique patterns on their art pieces. Harlow drew Sandra and Janet. Harlow drew her teachers, Janet on the left and Sandra on the right. Harlow asked Janet what Sandra needs (referring to the different facial features). When Janet told her that Sandra needs ears and hair, she drew them exactly where they suppose to be. She included Sandra's bun! The children are drawing on a particular contact paper in which they can use erasable markers. They draw zig-zag, straight, or curvy lines, or pictures that represent something. Tissue Paper Collage, the children, enjoy exploring with glue and different color tissue paper! Each child had a different technique for applying the paste and selecting the colors. As they spread the glue, they placed the tissue paper on that area. Each, Paper Tissue Collage projects the children’s unique style. Painting with q-tips allows children to create distinctive lines on their art piece. It also promotes a different grip as they maneuver the q-tip. Lego Block promotes color recognition, counting, one to one correspondence, and fine motor skills. Creativity and imagination also develop as children engage in connecting and building. As young toddlers play, they build their physical skills, learn concepts, and apply thinking skills. As teachers, we encourage children to explore with toys and manipulative. We promote socialization by encouraging children to play with one another and we create activities that enable children to work collaboratively. The butterflies have emerged, the children were curious and amazed as they saw the Painted Butterflies flutter. We have five butterflies. We can now feed them water with sugar and pieces of fruit. Today we celebrated our last and third Curriculum Day (Peers and School). As a community, we build relationships with teachers, students and expand our social skills. Each child in the classroom brings with them divergent, interests, abilities, cultures, and families. The classroom experience enriches our program for our children’s growth and development. Our goal is to celebrate individuals while creating a sense of community. Each corridor at Buckle My Shoe projects security, nurturing and a supportive environment. As a community, we share the importance of social interaction, communication, and collaboration, as children expand their understanding of the relationship between self and other. Our first stop to learning, and embracing our peers and community, we visited classroom 3B. They are 3.5- 4 years old and Ada and Adam are the two teachers in the classroom. They have a small tank with fishes and a rabbit name, Pinky. The teachers created and established a nurturing environment; they had different activities displayed on the tables, and cloud dough in the sensory table (a favorite sensory exploration activity our children enjoy). It was engaging and enriching, as all the children interacted with the materials or with one another. As part of a community we collaborate and share our interests and goals. Classroom 2A used to have a fish and we have two. 1B thought it would be a good idea to give one of the fish a good home and new friends. As a school community, it’s always nice to share. We voted as a class that the blue fish, Tata, would stay in 1B. We all walked to classroom 2A to take the Red Fish. As the teacher placed the bowl on the table, the children looked curious and puzzled to see a fish swimming inside. They all smiled and remained observing their fish. Part of our curriculum is to provide music. The words and instruments are the special elements that make the music come alive. Children smile, jump, clap, and sway to the music they hear. These experiences promote the development of listening and language skills, motor skills, and creativity. We visit the "Music Wall" and the children explored and manipulated different instruments in the basket and the guitars displaying on the wall. As they played an instrument they sang ABC, Mr. Sun, and Twinkle Little Star to name a few. Music and movement contribute to children’s overall development. Listening to and making music helps children's developing brain. As children learn words to songs, it makes them feel proud and able to participate in singing. Buckle My Shoe is the core of our community, and the classrooms are the branches. We want children to experience a fun, hands-on, interactive, and educational learning experience. I want to express thank you to all parents for their contribution throughout the year and welcoming us as your child's teacher. We also celebrated, Happy Parent's Day! I have always believed that parents day is every day; however, on this particular day, we celebrate each parent for their fantastic job, as they guide and nurture their children. The children are creating caterpillars out of egg cartons. They chose the color they want their caterpillar to be, antennas and eyes. They are all unique! Some of their caterpillars are displayed in the window as you enter Buckle My Shoe, and some will be in the classroom. We are creating a Chrysalis using water, Elmer’s Glue, and newspaper strips. As the teacher mixes both ingredients, the children appeared, curious and interested. The children took turns dipping the paper strip into the liquid and placed it on the balloon. This will be a two day process. As the balloon gets dry, it will harden. Our next step will be painting! We are soon coming to the end of the year. It has been a pleasant, rewarding, and educational experience working with the 18-24 months. Our children are growing, developing, and shaping their personality. I have seen them grow and develop both physically and mentally. I am proud to have been part of that growth. Each day we learn how essential it is to have children engage in activities, group time, circle time, and projects. Nevertheless, it is as important to follow their pace. 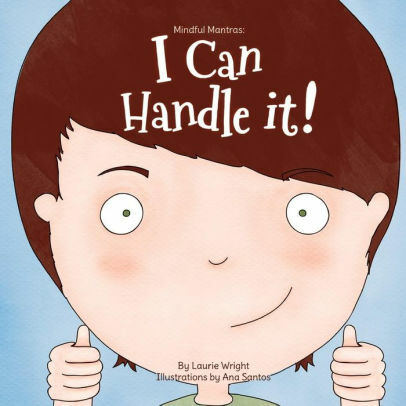 Building confidence and self-esteem are fundamental for them to feel secure in the environment in which they interact and engage with peers and different adults. As we observe them in play or an activity, we have noticed how they are listening to each other's words and talk as they play. Talking and asking questions to them is essential for their language and cognitive development. They demonstrate their learning as they observe and listen to the people they interact in their different environments (teachers, parents, and other adults). As teachers, we have encouraged them always to use their words and make independent decisions. As they think, they are developing and building, thinking and language skills. One of our essential approach to learning is singing songs. The children have observed, learned, listened and memorized many of our daily routine songs. Throughout the year we have had many circle time activities. Providing different ways to stimulate their young developing minds, enables them to develop thinking skills. It helps them to be curious, uses their imagination, creativity, explore, and discover new things. For the past few weeks, we are demonstrating to the children a fun game, which entails using numbers or shapes. For example, five different shapes are drawn on an erasable board. The board is turned away from the children and a shape is erased. As the board is turned back, the children have to guess which shape is missing. This whole week we have been preparing for our Spring Fair. Children are working hard on creating different art pieces. They are enjoying, exploring and discovering different techniques to create with colors. As they paint, glue, and sculpt they are using their imagination and creativity. Painting at the small aisle has always been one of the children's favorite activities. It seems that it gives them a different perspective on painting. As they use a thin brush and a variety of colors, they appear to relax as they stroke their paintbrush in different directions. Each distinctive stroke is made with focus and purpose. A collage is a technique of composing a work of art by pasting on a single surface various materials. The art of making collages, enable students’ to use their imagination and create a composition that expresses their creativity. The students used natural and recycled materials, for example; wood slices, small tree branches, recycling paper rolls, and seashells. The children squeezed some glue on a square piece of corrugated cardboard. They applied the glue with a paintbrush and selected different items for their collage. They each seemed to enjoy exploring the materials, as they focused on squeezing and spreading the glue. The children that did not participate in this activity during the week will have an opportunity to do it next week. This activity promotes fine motor and cognitive development, creativity, and imagination. We are going to have the opportunity to see the butterfly cycle (Caterpillar, Chrysalis, and Butterfly). We have several caterpillars (Painted Lady Caterpillars) in a small container, and each day we will be watching and noticing the changes. The children appeared curious and excited as they observed the caterpillars move slowly in the container. During circle time we counted how many children were at school. We counted and articulated the number 9, and it was written on an erasable board to demonstrate the written form. A set of circles were drawn next to the number nine, to show another way in which the number nine can be represented. The children are creating a structure using small and large spools, Popsicle sticks and round wood circles. Each piece represents a child’s creation. The children are collaborating on all art pieces for the Spring Market Event. Magna-tiles vary in shapes to build and rebuild different structures. They foster critical developmental skills, imaginative play, and creativity. The unique pieces engage children in in-depth investigations. Many children painted at the aisle. They each waited patiently for their turn. Painting provides texture and color exploration. It enables children to create and become curious as they paint. Combining colors and using a paintbrush or their hands to explore are elements that help them create and discover. As Ellie was mixing the colors and maneuvering the paintbrush, she articulated, “The moon!” Harlow was making circular movements, “Look Sandra, circles!” Painting allows them to express themselves and develop their creativity freely. Painting with young children not only helps their creative development but it also stimulates their brain. Stimulating children's brain can also improve other areas of their development; for example, developing their fine pincer grip or learning about color mixing. We created more colorful tiles for our Spring Fair. The children appear amazed as they see how the colors they squeezed into the cup without mixing, created a pattern of colors on the tile. Some of the children participated in splattering color on a canvas, using latex gloves and paint. They squeezed paint into a latex glove, small holes were poked on the glove, and the children pressed to dispense the color in different directions and "Voila" a masterpiece. Today we went for a neighborhood walk. Mario said, “Hello!” to every person he saw and they all pointed and articulated, firetruck. We said hello, to the friendly firefighter and we talked about the colors and the number the firetruck had. The children recognized the colors and Harry, shouted, "The number 7!" We talk about letters almost every day; therefore, as we pass the New York Law School building, the children were recognizing and identifying the letters! They also pointed and articulated cars, trucks, bus, yellow car, and dogs! We sang and read a variety of books and songs! Painting, gluing and cutting are part of our sensory exploration that allows children to understand materials and the world around them. All the children are participating and creating different kinds of arts and crafts for our Spring Market Event. As they engage and interact with the materials they are using their imagination and creativity. Creating and painting caterpillars using egg cartons. The children selected the color to paint their caterpillars, added antennas and pasted eyes on their caterpillars. They used a variety of colors to create a wonderful painting on canvas. They appeared curious as they patted, and lightly touched and rubbed the bag. They demonstrated eagerness, as they continued to manipulate the paint, and discovered how the paint spread inside without getting paint on their hands. Color, sensory, imagination, and fine motor skills all in one experience. Giving children opportunities to play with different types of textures and objects helps them to build new ways of talking about the world. The children are adorning square tiles using different colors and tools to create unique art pieces. As they maneuver their hand, they create distinctive strokes. Children Wooden Unit Blocks have been the standard for the classroom because of their proportions, (length is twice the width, width is twice thickness). They facilitate the learning of spatial concepts and simple geometry. Building with blocks promotes skills that involve the whole child. Each child moves their muscles differently to build and create structures. The children have been discovering how different blocks feel in their hands, and about space and shapes. They develop ideas and interests of their own as they select the blocks they want to use. The children did not express what their structure was about but continued putting them into precise adjustment. Size and shape are important features that help children to decide how they want to build their structure. Blocks are stimulating and rewarding. They contribute to the children's creativity and imagination as they explore. Physical play improves strength, endurance, balance, and body coordination when children play. The fine motor skills are an integral part of the physical development. In the gym, children run, swing, jump, roll, and throw a ball. They are building muscles! Large muscles like the arms and legs get stronger and work better as children run, stretch and climb. Each body part Masha uses contributes to her muscle strength and body coordination. As she stretches and balances using both her fine and gross motor skills, they get stronger. Developing these muscles improves children physicality. A sense of curiosity and interest stimulates young toddlers to engage with different materials. Engaging with real glue provide students to learn and explore in ways that they cannot with a glue stick. Toddlers are learning about the properties of glue and examining what happens when something sticks to their hands, or it is left out to dry, provides vital information that enables them to understand how some materials work. The Lego blocks and plates displayed on the table, Edie observed and interacted with them. She pressed one square shape onto the Lego plate and continued selecting different color squares unto the plate until it is almost complete. Experimenting and investigating each piece she chooses and rotates to design, helps her create her structure. Pegs are sorting, stacking, and color recognition manipulative toy. They build fine motor skills, develops and strengthens visual perception skills, hand-eye coordination, motor coordination, imagination, and creativity. The children were excited to explore soil! The soil is one of the natural element for planting. They squeezed, touched, and clutched some in their hands to pour it into a cup. They scooped and emptied small cups. We also included some props in the soil, to make the exploration fun, interesting and realistic (insects and branches). Earth Day activity, using coffee filter paper, blue and green watercolor, representing the earth. "The Week of the Young Child"
The week of the Young Child is celebrating and embracing early learning, young children, teachers, and families. This annual event was created by the NAEYC to celebrate and bring awareness to the importance of early childhood education. Engaging and celebrating families is at the heart of supporting our youngest learners. Throughout the week of the young child, each day we engaged, participated, explored, discovered, and celebrated something different. Monday: The children brought in their favorite musical instrument. They played and shared their instruments with their peers. We also explored and experimented using recycled materials to make shakers. As the teacher shook the instrument five times, they shook their musical instrument five times. Incorporating math and understanding number sense, enable children to learn to count and recognize numbers. Tuesday: We made strawberry, blueberry, and banana smoothie. The children were so excited to have a taste of the delicious smoothie as it mixed in the blender. Wednesday: Working together Wednesday, the children continue painting their flower pots, and the children are working collaboratively to build a train out of four boxes. They are painting their first box in red. As they engage, we celebrate the unique role they each play in creating. Thursday: "Creativity"- Different tools and paints are used in the art to create a fantastic art piece. We used something completely different that we have not used before, paint inside a balloon and plastic glove. This entails, filling up a balloon or glove with paint and puncture one or two holes; then the children will squeeze the paint onto the canvas. The children seemed excited to explore and manipulate the balloon using their hands and fingers. We will continue exploring and discovering different patterns, as they use this new technique on their paintings. The children used glue, glitter, and sequins on cd's to create suncatchers. They also explored and manipulated air dry clay by tapping, padding, squeezing, and molding it to a shape. Friday: "Special Persons Day" The children planted seeds in a flower pot in which they adorned with different color paints. They also created a work of art on a square tile by using two colors each child selected with their special person. The environment was filled with familiar and unfamiliar voices. We welcome everyone to be part of our classroom community and engage with the children, and teachers. The children are working collaboratively to build a train out of four boxes. They are painting their first box in red. As they engage, we celebrate the unique role they each play in creating. Different tools and paints are used in the art to create a fantastic art piece. Today we used something completely different that we have not used before, paint inside a balloon and plastic glove. This entails, filling up a balloon or glove with paint and puncture one or two holes; then the children will squeeze the paint onto the canvas. The children seemed excited to explore and manipulate the balloon using their hands and fingers. We will continue exploring and discovering different patterns, as they use this new technique on their paintings. The children are learning new songs, such as, popcorn, What's the weather, There are seven days in a week and Jump in the Water....?...! For example, the song goes "Jump in the Water Edith, Jump in the Water Edith, You're all wet, You're all wet, Shake your body dry, shake your body dry, you're all dry." As they learn new songs or songs that they have sung since the beginning of the year, they learn to articulate the words and follow the pattern, which word comes next. Songs help their language, cognitive, and physical development. Some children were creating suncatchers by adorning CDs. They used glitter, glue, and sequins. Each step enhances their cognitive ability, as they think about their choices. They selected two different colors of glitter and mixed each with glue. Then they spread the glue on the CD, promoting fine motor development as they maneuver their hands, back and forth. The children will continue their activity on Artsy Day, Thursday. Each child would have the opportunity to create and explore making a suncatcher. Ellie gives Mario one square carpet at a time, and Mario aligns them. As they play cooperatively, Mario appeared excited to have placed them together. Remy: "My favorite color, pink." The children are painting their flower pot with the colors of their choice. The teacher asked them to choose three different colors for their flower pot. Some children selected three; whereas Ellie picked one color, blue. Remy: "R for Remy and Rheya!" We did the experiment again and this time we used a smaller jar and added less shaving cream. Children can learn about the weather with this rain cloud science experiment. The shaving cream represents a cloud, and the water is the atmosphere. The weight of the food coloring will start to push through the shaving cream and fall through the water that’s in the jar! It will look like streaks of rain falling. The children appeared eager as they see the experiment unfold. Hands-on learning experiences allow children to wonder, discover, explore and see how science is part of our everyday world. Harry drew a snowman on the erasable board! Classroom 2A didn’t have a fish and as a school community it’s always nice to share. We had two fishes and we thought it would be a good idea to give one of the fish a good home. We voted as a class community that the blue fish, Tata, would stay in 1B. We took the Red Fish to classroom 2A and the children appeared excited as they saw the teacher with a bowl, and a fish swimming inside. We are sure that she will be happy in her new home with new friends. Scissors have two crossed pivoted blades and ring-shaped handles at one end. As toddlers (18-24 months) engage in using their small hands to open and close the blades of the scissors, they will begin to understand how to use them. As he/she grasp and manipulate the object with purpose, they gain experience that cutting with scissors requires them to use the thumb, index, and middle fingers separately from the pinkie, and ring fingers. Do not be surprise if their first instinct is to rip the paper. That is quite natural and appropriate with young toddlers. Train tracks are not only fun but developmentally appropriate for young toddlers. They are tools that help facilitate optimum child growth and development. Each piece stimulates Madeline imagination and creativity. It also enhances problem-solving skills. Madeline created her own track configuration. She carefully chose and connected each track. She observed and focused on each track, making sure it fits. We have finished the second week of Literacy week, and I want to thank all the wonderful readers. We created a wishlist on books that we wanted for our classroom. Thank you for your contribution! Teaching children the importance of books is helping children develop proficient reading skills. Reading aloud allows children to use their imagination, creativity, extend their vocabulary and use analytical thinking. Parents and extended family members are always welcome to visit and read to the class. The children are always eager and excited to have a visitor come and read to them. Please join our beautiful classroom community and read to us! 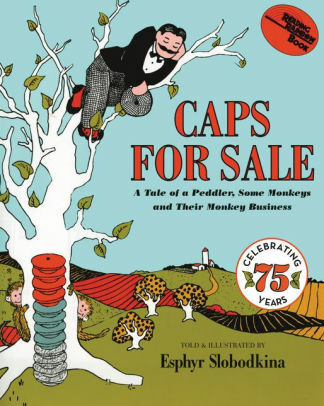 We have read to the children, Hooray for Hats!, many times. Each time they appear excited to hear the story. They are articulating what animal comes next before the teacher turns the page. After manipulating the model magic, pressing, squeezing, and patting it, she created a structure. She articulated, "A boat!" Watercolor Paper Towel Art: Olivia and William engaged in a watercolor activity. Various techniques in art promote a different sensory exploration and experience as children use materials. Adding texture to their art with paper towel and watercolor, they can create abstract textures in their painting. Watercolor painting has a flat art form, and you can’t achieve the same textural properties as you can with oil and acrylics. An excellent and simple way to add texture to a watercolor piece is with the use of a paper towel and crumbling it. It's a form of adding texture to the painting as they use watercolor. As some children opened their paper towel after allowing it to dry, they noticed how colors spread and created light and dark tones on some parts of the paper. Using paper towels as a watercolor technique for texture enable children to explore and discover art in a different way. After the paper towel is dry, it's opened and placed on black construction paper and displayed on the classroom wall. We sometimes have a brief circle time before we go to the gym at 9:30. We sing the Good morning, What's the weather?, There are seven days in a week...., Old Mac Donald, and Where is green? (A color song). Part of our counting activity, we counted together how many children were in school today (9). How Clouds Make Rain: When water droplets continue to collect in a cloud, they get heavier and heavier. They will eventually become too heavy to float on the air. Water droplets will fall to the earth as rain. This experiment shows children how rain falls from the clouds! The teacher poured a substantial amount of water and shaving cream into the jar. Each child had a turn dispensing blue watercolor into the white cloud. The shaving cream represents the clouds and the watercolor, rain. The children observed as the watercolor traveled through the shaving cream. It was interesting to watch the rain cloud start to let go of little blue water droplets! I think it took a little longer than it supposed to because the teacher dispensed too much shaving cream. We will try this experiment again when we return from the break! We explained to the children that one of the teachers doesn't have a fish, and she would like to have one. We talked about sharing and making a friend feel better. Therefore, we decided as a class to give her one of ours. We voted on which fish would stay in classroom 1B and which one will go to Rachel, classroom 2A. The red fish will remain with us because it had the highest number of votes. We will give classroom 2A the blue fish when we return from our break. The children selected different hats to wear during this week. They shared, and they also had their favorite hat to wear. Even though we focus on children wearing them during Literacy Week, they will incorporate them during pretend (dramatic) play. When children engage in pretend (dramatic) play, they are actively experimenting with the social and emotional roles of life. Through cooperative play, he/she learns how to take turns, share and creatively problem-solve. When children pretend to be different characters, they have the experience of walking in someone else's shoes. They also build self-esteem when he/she discover they can be anything just by pretending! Model Magic is a unique lightweight material. It is a soft, easy to use, and extremely pliable modeling compound that lets you create keepable art, and design anything from simple shapes to intricate dioramas. It can be reused or be air dried resulting in a smooth and resilient finish. Model magic promotes fine motor skills, imagination, and creativity. The children seemed to be interested as they approached and engaged with the material displayed on the table. The texture was inviting and intriguing, as they manipulate the material with their hands and fingers. They touched, poked, squeezed, and selected some bright and colorful feathers and pipe cleaners for adorning. They appeared proud of their model magic structure! We used an egg carton and different color tempera paints, to create a color recognition game. The children enjoy interacting with fuzz balls; therefore, creating a fun and learning experience allows them to absorb information simply. Harlow, Mario, Rheya, and Edith appeared excited to recognize and identify the colors as they insert the fuzz ball into its correspondent place. Visiting the music wall allows children to select an instrument and create their music. Reviewing our facial features and body (eyes, nose, arm, leg, neck, ears, etc. ), using one of the teachers, as a model. We see shapes in our environment, and with the different materials, we interact. Articulating and identifying the different shapes we see, provide children with a natural manner to acquire knowledge of shapes. For example, a paper plate and a clock is a shape of a circle. The Lego Blocks are in a square and rectangle shape. The teacher drew some shapes on the erasable board and asked the children to erase the circle, for example. All the children had an opportunity to identify, recognize, and learn about a shape. We are celebrating Literacy Week, and parents are volunteering to read to the children throughout the week. 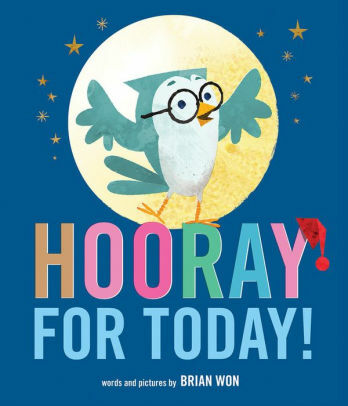 Even though we are going to read a variety of books and embrace all authors, we are uniquely celebrating Brian Won, the author, and illustrator of the children’s favorite book, Hooray for Hats. 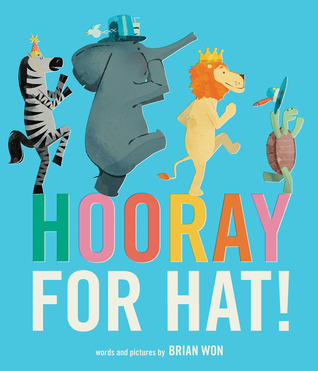 All the children are going to be wearing and sharing unique hats throughout the week. The more young children are read to, the higher their interest in mastering reading. Reading out loud exposes children to letters, words, proper grammar and phrasing. It enhances the development of their spoken language and literacy skills. As they listen they gradually absorb the information they hear. Their imagination, creativity, and cognitive development are integrated into the learning process. 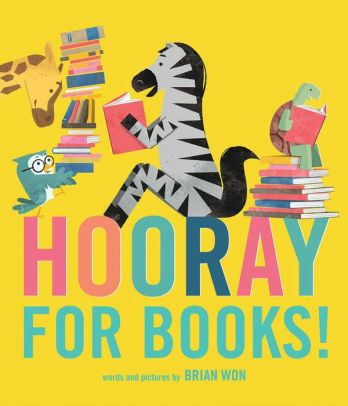 Allowing children to pick the books they are interested in and turn the pages themselves keeps them active and engage in learning. Reading out loud also teaches children to listen. Children develop literacy skills and an awareness of language long before they can read. Language development is fundamental in all aspects of learning. By reading aloud to young children, we can help them acquire the skills they will need to be ready for school. The children were eating strawberries, muffins, raisins, and cherry scones at their Tea Party. They wore their different hats as Hooray for Hats was being read to them. The also enjoyed a cup of apple juice served from a Teacup. Sensory bags are inviting to toddlers. Sensory invitations to play is a delightful resource that encourages children to explore their sense of touch and sight. Madeline appears intrigued as she explores the sensory bag on the lightable. The bag contained water, baby oil, orange watercolor, colorful rubber bands and letters. She noticed how the watercolor moved as she touched and patted the Ziploc bag. Madeline used her fingertips to press each letter, and as she pushed, they moved. The movement encouraged her to touch other letters. Teacher: "What letter is that Olivia?" Grayson is feeling at ease in his classroom environment and interacting with different materials. This fun activity helps children to experience a different form of painting on paper. It allows them to explore, experiment and discover that the composition of paint appears differently on each surface they paint on. Mirror paper makes the painting shimmer, and the metallic surface creates a shiny and slippery appearance. Each child projected different strokes on the mirror using paintbrushes. As they see their reflection, they also see the different strokes he/she has painted. The children are excited to wear different hats and share them with their peers. Each hat is a representation of friendship. As they exchange hats, they learn the concept of sharing and taking turns. Even though we implement in the classroom the importance of sharing and taking turns, it is always a good idea to use different perspective to reinforce the concept. All the children are enjoying the different books that our special readers are reading. It is always rewarding to have our parents read to the children in their classroom. 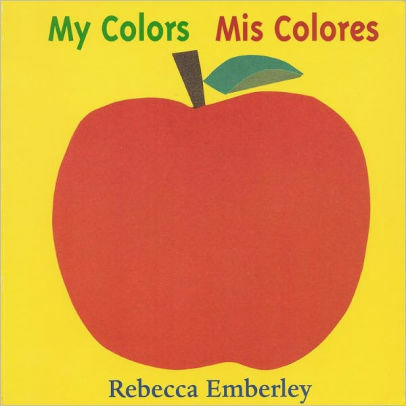 The children listened to a beautiful story about friendship and colors. A story about two friends, little blue and little yellow, and their new color represents a merging of their two individual colors, green. Little Blue and Little Yellow are friends, but one day they can’t find each other. When they do, they were so happy to see each other that they hug and hug until they turn green. Although they do not stay green, they were still friends. 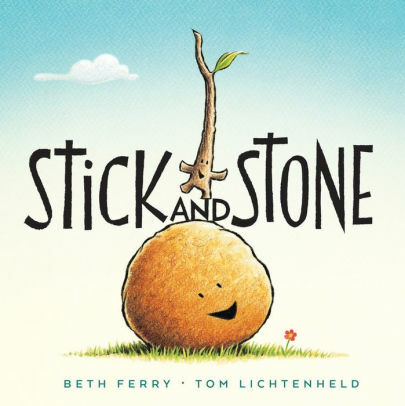 This unique storybook is useful both as an introduction to color blending and as a story of friendship and acceptance. First group: We provided one paper plate in which we placed one blob of yellow and blue paint. The children combined the colors until the new hue turned green. Second group: We provided two paper plates, and a drop of yellow and blue paint on each plate. Then the children rubbed the two paper plates together until the green color revealed. Two different ways to explore paint! Play dough is a sensory exploration activity. Madeline squeezed and pressed and formed a ball. The teacher provided tools for further exploration and pipe cleaners for adornment. Children are learning to take turns, share toys and engage in play. Every morning we have a routine before we enter the gym, we line up against the wall and sing one song. Toddlers are learning to understand their own space. Children are constantly testing their body; they crawl in, around, over, and under things. The first thing toddlers do when they see a cardboard box is to try to get in it. As they explore getting into the box, they are discovering their body. Cardboard boxes are excellent tools for spatial exploration, and understanding their space. Cardboard boxes also promote comfort and security. It creates an emotional need to be in a small space. It enables the child to connect with their inner need to be bundled up or embraced. It also provides a sensory experience. The soothe sides of the cardboard, the sound it projects when folding or carrying the box, the natural brown color, and drawing on the box are all integral parts of the sensory play. Their imagination and creativity evolve, as they explore and discover new ways to use the box. During circle time, Ms. Janet drew a self-portrait of Ms. Sandra. She asked the children, What is Sandra missing? All the children participated and articulated the different features until the self-portrait was completed. I don't see a resemblance; however, the children identified, recognized, and articulated the facial features. The teacher and children did smoothie today. They used strawberries, bananas, and yogurt! Arturo, Mario's father came to read to the children after lunch. The children were excited to see and hear him read. Playing with toys is an essential part of a child's development. The railroad system can provide an excellent stimulus for creative play. Train tracks are innovative; they promote problem-solving, imagination, language, socialization, and fine motor skills. Straight, curve and bridge style tracks help children to put train tracks together and put them in different ways. Each piece stimulates Edith's imagination and creativity. It also enhances problem-solving skills. Edith created her track configuration. She carefully chose and connected each track, and each time she interacts with the tracks, she is extending them further. She observed and focused on each track, making sure it fits. What's the Weather out Today? Read a variety of books! William is gradually adusting to the classroom environment. Pretend play, sometimes called symbolic play, imaginative play, or dramatic play introduces the concept that one thing can “be” another.” At this age, toddlers may start to play with dolls as if they are “real.” For example, feeding them, putting them to bed. As Rheya is imitating the teacher, she is using her imagination, actions, and language to think things through and to remember what happened in familiar situations (circle time). Because this activity is fun, she will become so engrossed that she can think and act it through from beginning to end. She enjoys pretending play on her own, making animal noises when she sings Old McDonald or creating an airplane using unit blocks, and makes the sound of an airplane. She also participates in “let’s pretend” games with other children, thus developing her social skills. Pretend play will help her to express her emotions and feelings safely. Young children are not able to organize complex thoughts, so when he/she dresses up and acts as a doctor or teacher, he/she is organizing their thoughts and coming to understand the doctor’s and teacher’s role. Through such play roles, they are slowly beginning to think about what it would be like to be someone else so that by the time they are about four-and-a-half they have some understanding and awareness that other people have their thoughts and feelings. A reading session with Shakera! Madeline: "I'm painting my banana." Children are learning about color, shape, and counting. The teacher incorporates a variety of manipulative toys, feathers, and other items, to make the counting experience exciting and interactive. They learn to count in sequence and count with one-to-one correspondence (from left to right or right to left). As children count, they also learn about color and shape. Promoting math awareness and skills to young toddlers, helps them to be curious, and how numbers and counting apply to his/her life and the world around them. As Ellie aligned the carpet pieces, she counted each one. The pictures demonstrate Ellie is selecting some Lego Blocks and counting in sequence and using one to one correspondence. After reading Hooray for Hats, the teachers asked the children some questions. What story did Sandra read? What are some of the animals in the story? Everyone said, "Zebra, elephant, lion, and turtle!" What gift was everyone getting? Why did they receive or get a gift? Reading out loud exposes children to proper grammar and phrasing. It enhances the development of their spoken language skills, their ability to express themselves verbally and hear the correct pronunciation. Reading open doors, doors to new words, even when they do not understand every new word, they absorb something from the context. Reflecting back to a story helps children cognitive development. It enables them to think again what they have heard and seen from the book. Teacher: "Ellis, I am noticing that you are completing each row with different color pegs. What are you constructing?